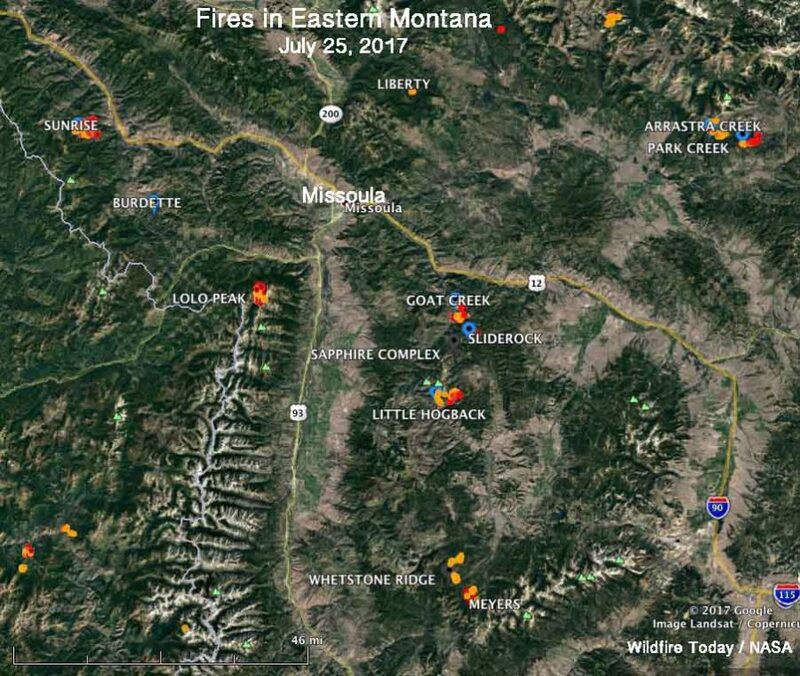 Make no mistake, fire season has officially arrived in Missoula County. 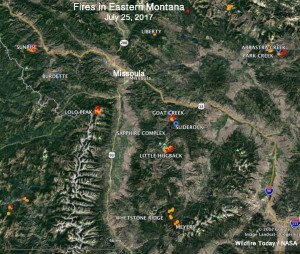 Several fires are currently burning south of town in Lolo National Forest, the Sapphire Complex and Goat Creek fires being the largest. And with the Sunrise fire growing near Tarko in neighboring Mineral County, the valley is filling up with smoke earlier – and thicker – each day. We’re thankful, first, for the firefighters who work tirelessly in the heat and sun to keep us as well as our homes, businesses, land and livestock safe. But the invisible heroes are those working to keep us safe from behind the scenes – those scientists, fire experts, incident commanders and government agencies who monitor the fires from afar and make critical – sometimes life-or-death – decisions about where to send our resources, human and otherwise. It wasn’t too long ago we had to hear second-hand from the media what fires were burning where, and that often meant critical delays and distorted information that caused confusion at best and panic at worst. But now, love it or hate it, information technology has made it much easier for us to stay on top of what’s going on without relying on those gatekeepers. –First, there’s InciWeb, an intergency all-risk incident management system designed both to provide the public with a single source of incident related info as well as a standardized reporting tool for the media. If you follow this link, you can review a live roster of all the ongoing incidents across the country. By clicking on the column headers, you can sort the information to meet your specific inquiry. For example, click the “State” header and it arranges the incidents alphabetically by state. You can also click on the specific incident you want to review and get a very detailed report on its current situation, outlook, weather concerns and planned actions. This is also where you can monitor closures, evacuations, public meetings, etc. -Second, there’s the local air quality website managed by Missoula County. Here’s where you’ll find details about the smoke and how the fires are impacting air quality in the county, as well as what precautions you should take to avoid health problems due to the smoke. From this page, you can follow a link to a pretty simple graphic that explains what comprises the different levels of air quality – from good to hazardous – and how you should adjust your activity accordingly. There’s a lot of other neat links and resources available there for those who want to learn more about air quality in Missoula. Say what you will about the positives and negatives of all the recent advances in information technology, but when it’s used to keep us and our families informed and safe, we’d say that’s a pretty neat evolution.